Ajay has an Honours degree in Economics from Hindu College, Delhi University followed by an MBA in Marketing and Finance from IIM Ahmadabad. Ajay spent 9 years at Hindustan Unilever where he initially worked in Detergent Sales for East Zone, then handled Marketing for the Paras Agribusiness portfolio, and later was involved in the turnaround of the Footwear export business in Chennai as Business Development Manager. Subsequently he joined PepsiCo and spent 9 years there, including the roles of Head of Beverage Sales (Calcutta), I&S Manager (Internal Change Consultants), General Manager - Franchise, North India, Goa & Nepal, (New Delhi), Regional Key Account Manager (Hong Kong), and finally Franchise Director (Indonesia) for both Beverages and Snack Foods. Ajay then spent 4 years with Electronic Arts Inc. as General Manager for India, where he devised and executed the entry strategy of EA in India. Ajay is uniquely a Marketing and Sales manager with a strong financial background. He is an expert on General Management, Strategic/ Financial Planning, Project Start Up/Scale Up, Financial Re-Engineering and Business Turnaround with a focus on turning around and scaling up small and medium sized business. 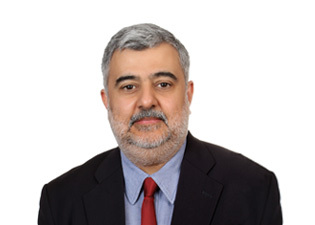 Ajay Khanna is based in Delhi and is a Senior Advisor with YFactor.